Don’t let your leftover fresh herbs go to waste – 3 tips on how to use up all of your fresh herbs. I’ve admitted before that I do not have a green thumb. I have killed the indestructible mint plant. I have killed part of a lawn. So, since I can’t grow them, I buy a lot of fresh herbs from the grocery store and farmers’ markets. But the downside? Often my leftover herbs go into my crisper drawer only to be forgotten long past their freshness date. 1) Dry Them – Good for woodier/stronger herbs like rosemary, thyme and oregano. 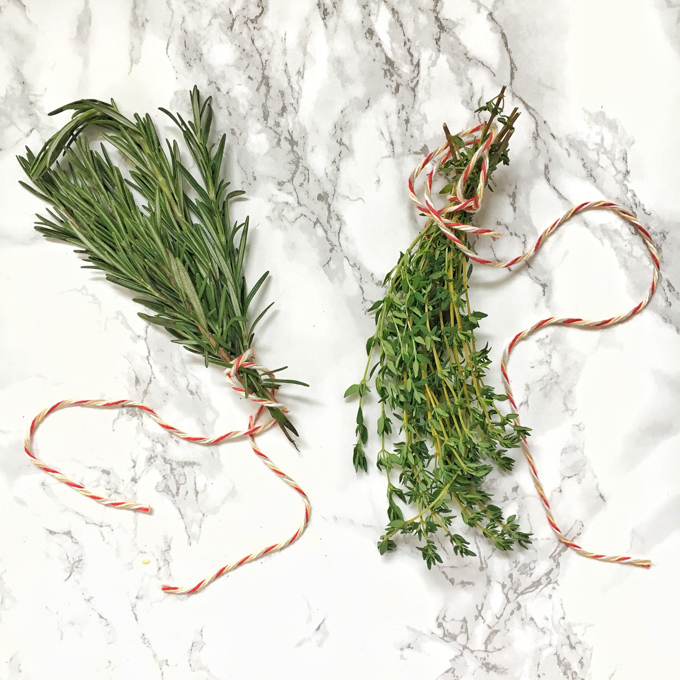 Gather your herbs into a bunch and tie with string or ribbon. 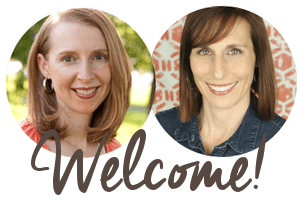 Hang upside down in a cool, dry place (like a pantry). The process may take days to weeks. Once the herbs are dry, you can crush them with your hands and store in small containers. With fresh thyme, I do it the lazy way by simply sticking a bunch in an empty glass and keeping it on my counter top. 2) Freeze In Ice Cube Trays – Good for delicate herbs like basil, mint, parsley, and cilantro as well as rosemary, thyme, oregano. Carefully tear basil/mint into small pieces. For parsley and cilantro, chop them stems and leaves. And for rosemary, thyme and oregano, strip the leaves from woody stems (compost the stems.) Place by the tablespoon full into each ice cube tray compartment. Fill with broth, white wine or olive oil and freeze. Once frozen, place ice cubes in plastic freezer bag. Use for soups, roasted vegetables, pasta sauces. 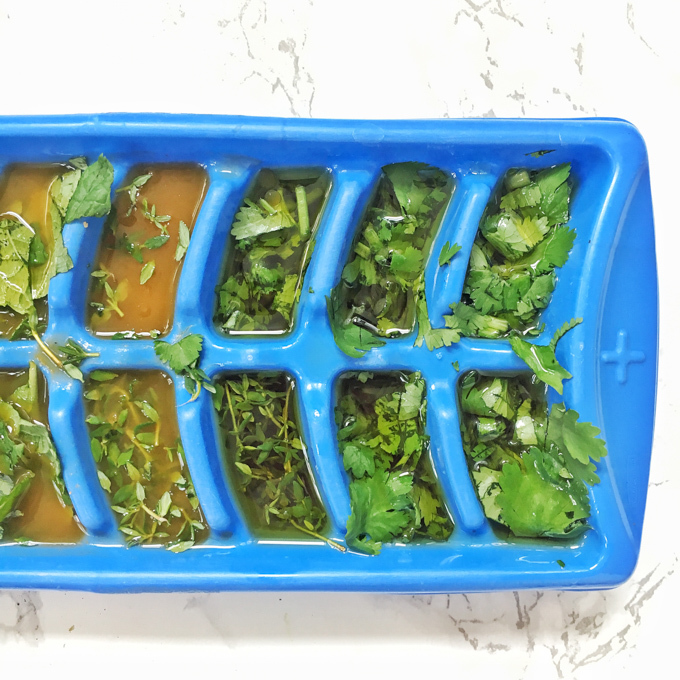 Place prepared herbs by the tablespoon into each ice cube tray compartment. Fill with broth, white wine or olive oil and freeze. Once frozen, remove ice cubes from tray and place in plastic freezer bag. Use for soups, roasted vegetables and pasta sauces. 3) Make Smoothies – Good for delicate herbs like basil, mint, parsley and cilantro. Along with being a vocal black thumb, I’m also a “I don’t drink my greens” gal. 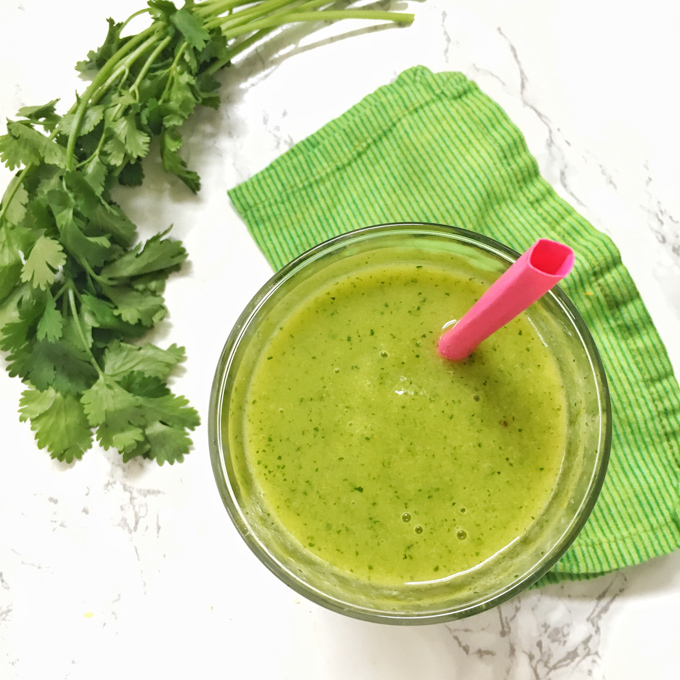 But here’s where I make an exception – especially for this Mango Tropical Smoothie which is a great way to use up cilantro. What I love about this hack is you can toss the entire herb in – leaves and stems – so zero waste. Use up your leftover fresh cilantro – stems and all – to make this delicious Mango Cilantro Smoothie. Add all ingredients to blender and blend into completely smooth and cilantro is pulverized. What are your favorite fresh herbs? How do you use up your leftover herbs?